Benefits: As a tonic it is restorative for the nervous system. It is also considered an aphrodisiac. The tonic action is due to the thymol content of the plant which is antiseptic and tonic. Damiana has a life-enhancing stimulating action on the body and mind. It is given to people suffering from mild to moderate depression and nervous exhaustion. With its stimulating and restorative properties, it makes it valuable when anxiety and depression happen together as often occurs after long term stress. Damiana has a testosterogenic quality and was always seen mainly as a herb for men. However, it is beneficial for both sexes as it has restorative qualities for the reproductive organs of both sexes. It is often used for delayed or painful periods and is used specifically for headaches connected to these. It is a urinary antiseptic and diuretic and can be useful in the treatment of mild urinary infections such as urethritis and cystitis. A mild laxative, it is considered useful in the treatment of constipation and to increase poor bowel and muscle tone. Active Constituents: Arbutin, voltaile oil (deitacedinene, thymol), cyanogenic glycoside (tetraphyllin, resin and gums). The bitter principle is damianin. 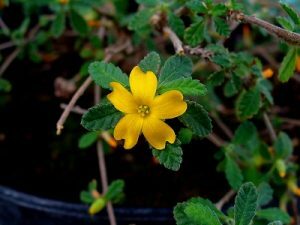 Contraindications: As it may exacerbate the existing conditions, Damiana should be avoided in cases of severe urinary tract disease. It is a low toxicity plant however, excessive doses can cause irritation of the genitourinary tract.